“LOST” and “Once Upon a Time” are very different shows, but as a fan of both , I can’t help but notice themes and parallels between the two. Probably the most obvious observation a casual viewer of both shows would make are the shared cast members. Emilie De Raven: Clair on “LOST”/Belle on “Once”, Alan Dale: Charles Widmore on “LOST”/King George on “Once”, Jorge Garcia: Hurley on “LOST”/Anton the Giant on “Once” and the most recent casting addition, Rebecca Mader: Charlotte on “LOST”/Wicked Witch on “Once”. And then there’s all the flashbacks, time travel, parallel universes in “Once” that are much like the flash backs/flash forward/flash sideways storytelling timeline on “LOST.” It’s just a little easier to keep track of on “Once”, though. 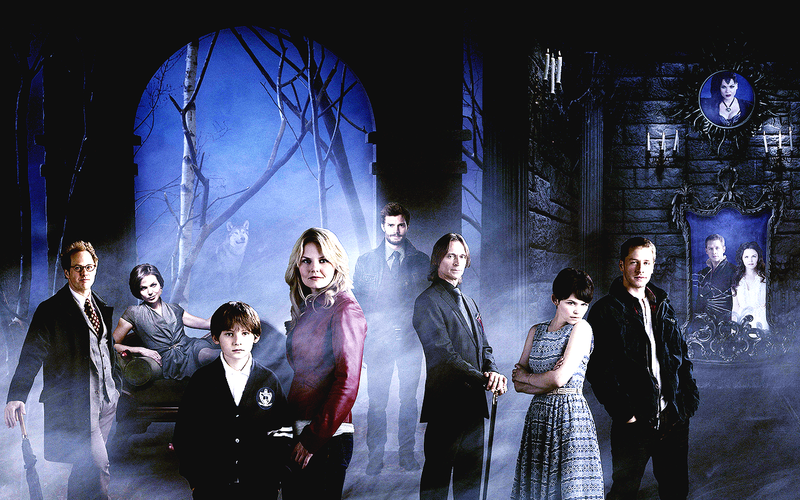 Some of the Storybrooke characters even travel to an island (Neverland) in season 3. Coincidence? Probably not. The time on the Storybrooke clock is frozen at 8:15 which is a reference to Oceanic Flight 815 that all the characters of “LOST” were on when the plane crashed on the island. Numbers, numbers, numbers! The numbers John Locke was so obsessed with punching in the computer in the hatch on “LOST” show up on “Once” on clocks, road signs, license plates and house numbers (just to name a few). Oceanic flight 815 flies overhead and startles Pinocchio when he arrives in the land without magic. The heart of the island in “LOST” looks very much like the Neverland spring and serves a similar purpose on the show. Previous Television Reboots: Anything Could Happen!